Inside Tasmania: Why Does Australia Support Gross Corruption In Malaysia? Why Does Australia Support Gross Corruption In Malaysia? How long before Australia wakes-up to the fact we are bankrolling the most corrupt people on Earth? 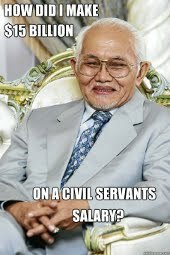 Case in point: Sarawak potentate Taib Mahumud, educated under the Colombo plan at taxpayers expense. 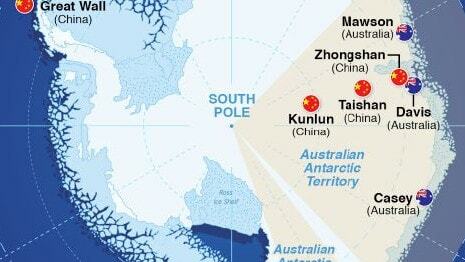 Today Australian taxpayers still subsidise timber for one of Taib's proxy ventures called Ta Ann Tasmania. This company pays no tax but still gets handouts from the Australian and Tasmanian governments. 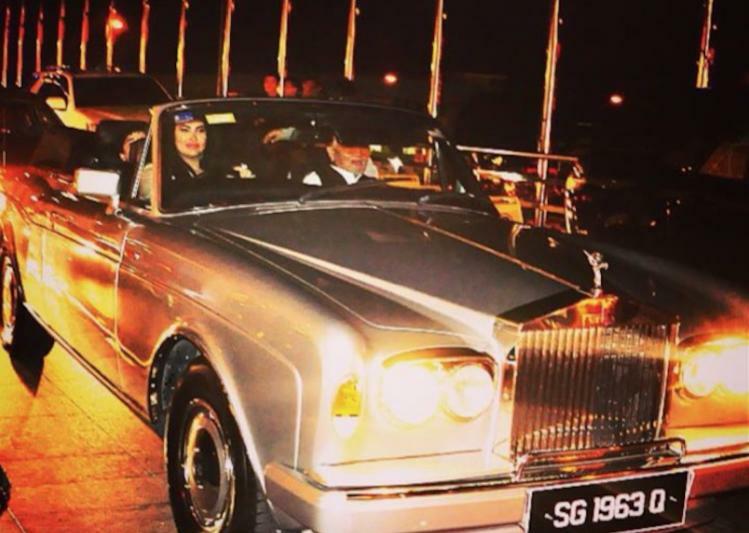 Take a look at how the Sarawak Mafia live? This was the nice little prezzie that Taib bought his young wife to celebrate their 5th anniversary and his 80th birthday last weekend. 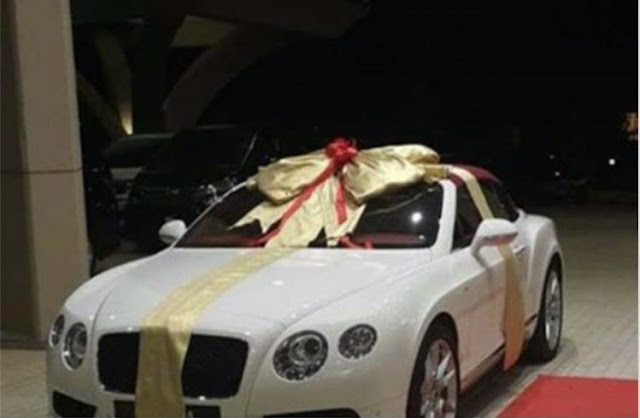 After all, there have to be compensations for having a husband half a century older than yourself and for a certain type of lady a new RM1.5 million Bentley clearly does the trick – even if the family garage is already stuffed with endless other variations on the same theme. We are, of course, merely talking about the transportation of a family of suspicious wealth from one side of their modest capital to the other – the roads outside of Kuching are not fit to use such motors, thanks to the policies of Taib himself. Ragad, present and its donor. Meanwhile, it is noticeable that the lavish anniversary celebrations over the weekend were not attended by the Prime Minister. Najib, having hung around as much as possible to ‘gain the glory’ of Sarawak’s rigged state election ‘win’ for BN, was also noticeably absent from Adenan’s swearing-in ceremony. 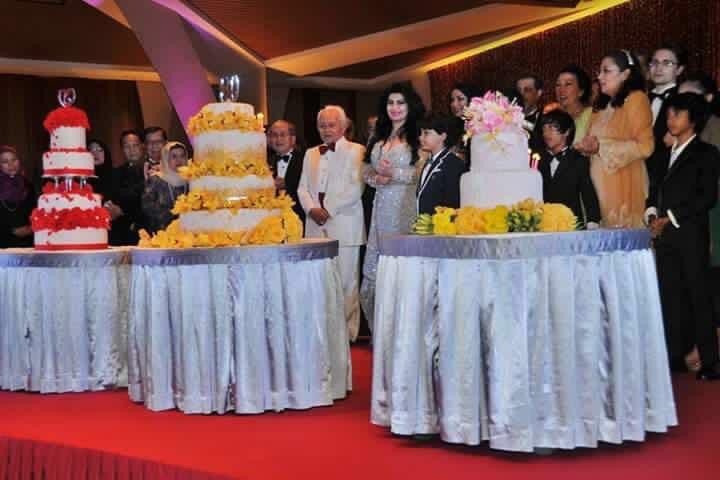 Insiders have surmised that the reason was that the occasion inevitably gave a centre stage to Governor Abdul Taib Mahmud, who remains, of course, the real power behind his protege and brother in law, Adenan, and who still controls the economy of Malaysia’s richest state. The two ageing billionaires (Najib and Taib) are said to have fallen out in a rather spectacular way as the 1MDB scandal plunged into its present debacle – according to one insider “frozen bank accounts create very bad tempers”. 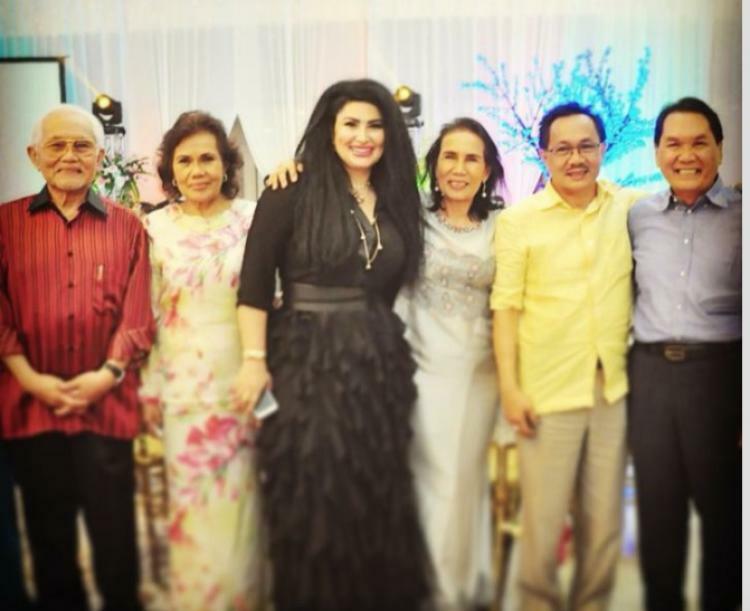 It is known that Jho Low, who is at the centre of the scandal, had already been working hand in glove with Taib in the planned off-loading of his family’s UBG group from 2008. 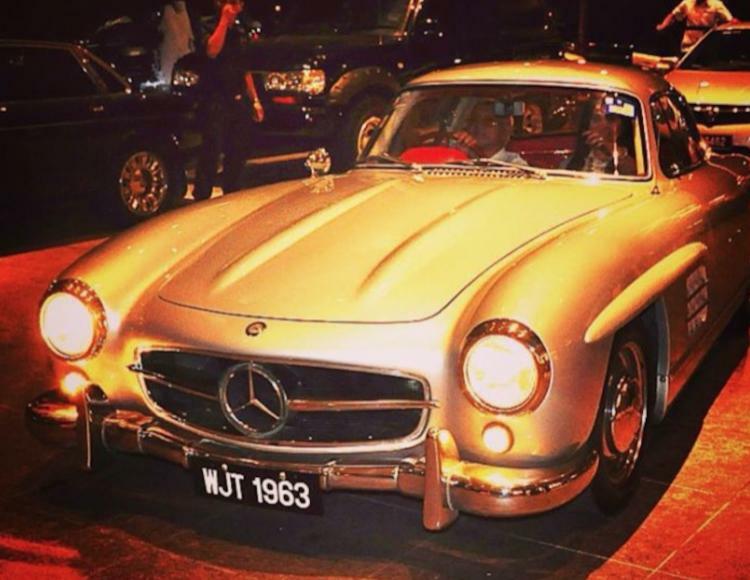 Low spearheaded an investment into the group (becoming a 50% shareholder through his company Majestic Masterpiece) and became an alternate director to Taib’s son Abu Bekir. Jho Low was later introduced directly to Najib, say insiders, and of course the evidence now obtained by Sarawak Report shows that Low used US$260 million obtained from 1MDB to then buy both himself and Taib out of the group at a very handsome profit in 2010. That money enabled huge sums to be leveraged from banks such as AmBank to achieve the buy out, which must have pleased Taib immensly at the time. Now, however it has left all parties exposed in the glare of publicity. Worse, there is growing speculation as to the sources of the money lent to 1MDB at highly favourable rates of interest. Specifically, Goldman Sachs have made clear that one of the reasons they charged such enormous rates and the costs were so high for the US$3 billion loan taken out in March 2013, was because 1MDB (ie Najib) was in such a hurry they wanted the money raised in a week. Could Taib Mahmud, who was known to be close to Goldman boss, Tim Leissener (who was at one point engaged to his neice) have been the eventual source of that enormous profitable loan, people in the know are now asking? In which case the tensions would be all the more explicable between Taib and Najib! Meanwhile, it is clear that Taib has started to get used to his prizing from his previous Chief Minister’s post, a move he quite accurately blames on Najib, who had decided that Taib’s increasingly dirty image gave him the excuse to clip the wings of this over-powerful local leader. That was before Najib’s own image started to suffer the consequences of exposure, naturally. 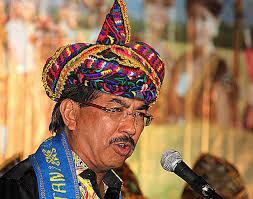 Indeed, the developments over 1MDB can be said to have saved the political skin of East Malaysia’s other timber crook, Musa Aman, next door in Sabah. Najib had also planned to chop him too, according to our intelligence, but is happy to cling to fellow crooks in return for their support, now that his own political position is undermined. 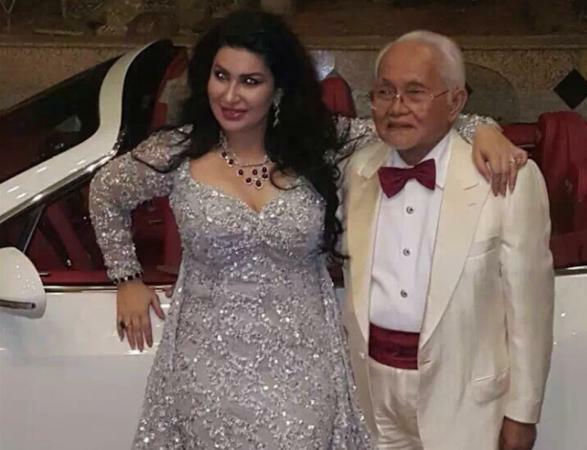 Meanwhile, Taib is currently plainly determined to try and enjoy those billions, which he has abused his position of trust to obtain and he is back flashing his wealth and overly young wife round little Kuching. Likewise, Ragad, who has been known to lose her temper and kick her fragile spouse from time to time, seems now settled into the prospect of a good eventual settlement. 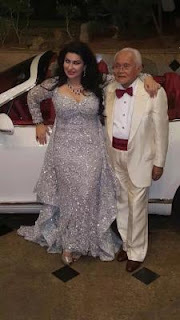 After all, Taib has always put his business before anything else and had indicated that his eventual plan was to concentrate on that full time, once he had secured control of decision making in Sarawak through a willing agent. Originally, this had been assumed to be his sons. Now, however, his ex-brother in law Adenan appears to be doing just as good a job of ensuring that the contracts and concessions pass the way of Taib’s family companies as previously. Adenan has proved content to speak reform, but to continue the management of Sarawak (and its ‘elections’) exactly as before – for the benefit of this clique of families and to the misery of the rest of the people and destruction of the jungle. 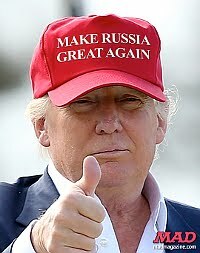 They must hope that the swirling clouds of global corruption investigations do not suddenly burst open over their heads also, or that the house of cards will not totally collapse, or that the chain reaction of revelations will not continue……..